Today we have a fantastic review from Denise who has one of our CISS systems. If you'd like to be entered in our monthly prize draw, and receive a discount on all dye and pigment ink purchases, send your review to reviews@cityinkexpress.co.uk. I have been using City Ink Express for all my printing requirements. I have bought the Epson WF 3620 complete with the CISS, which I have found incredible for all my printing needs. I also purchase the Ink Refills at City Ink Express. I didn't think that printing can finally be so cheap! As far as after sales service I have always found fast and complete support from the team, which is great. I live outside of the UK and I get my parcels faster than any other sites I frequent online. I am 100% happy making my purchases at CITY INK EXPRESS. Highly Recommended. We are proud to announce June's competition winner, Bill! Who has won an XP-247 CISS Printer bundle. Thank you to everyone who took part in last months review competition. 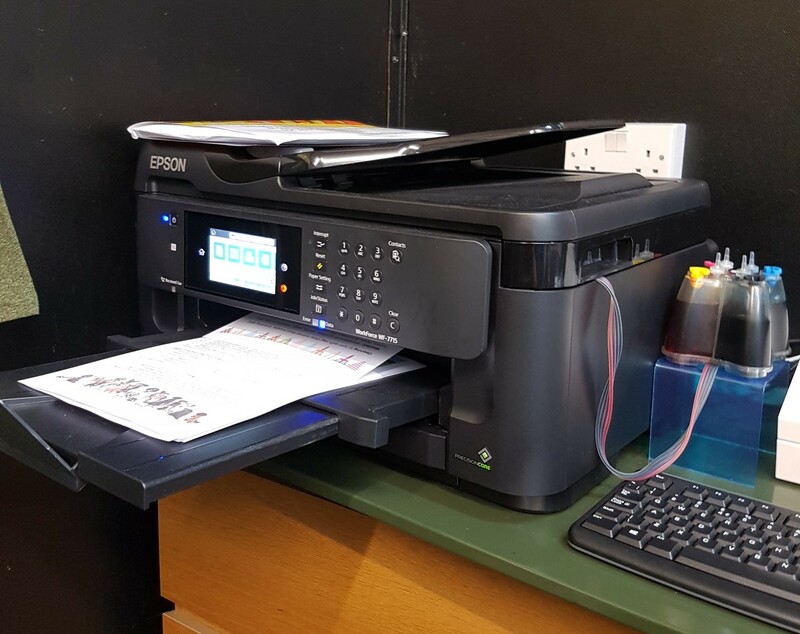 Epson have released a new firmware update, which will cause you printer to no longer recognise your continuous ink system and refillable cartridges. This is for any of the T29 cartridges, including the newer models that Epson have just released. We kindly ask for you to not update your printer firmware at the moment. We have no other solution for this now, but we will keep you updated. Please accept our sincere apologies for any inconvenience this may cause. If you have any further questions, please do not hesitate to contact us via email or LiveChat. Today we have a fantastic review from Phil who has one of our CISS systems. If you'd like to be entered in our monthly prize draw, and receive a discount on all dye and pigment ink purchases, send your review to reviews@cityinkexpress.co.uk. Having thought long and hard before buying a CISS system, I have to say that the last 3 years have changed my mind completely. The simplicity of the CISS system from Cityink Express and the the staggering sums of money saved make this a must have for parents (since so much can wasted by kids) and business alike. Once setup, you simply pull out the cartridge and re-seat it, (I usually wait 4-5 secs) to make it be recognised once more. Think of it this way, the cost of the entire CISS system is less than 2 original ink sets from EPSON! Quality - The prints that I have produced are excellent and have been used in friends official wedding photo albums the print outs are that good. Could a skilled artist or expert designer tell the difference between inks? Not sure, however they normally use colour laser-jets, which are far too expensive for us. Assuming you use the correct photo quality paper, then the ink dries immediately, everytime! Also works fine on normal paper, if it stays wet, it is the fault of the paper, not the inks, I can assure you. Refilling - With the CISS system this is almost never required, however the first fill up is straightforward and links to YouTube videos can be found including some from Cityinks. TIP: Make sure the cables are not too tight, or do not bend too much or it can restrict ink flow. Today we have a fantastic review from Andy who has one of our CISS systems. If you'd like to be entered in our monthly prize draw, and receive a discount on all dye and pigment ink purchases, send your review to reviews@cityinkexpress.co.uk. Well I think it's a wonderful system - see the attached photo for my setup. It paid for itself when I had my first real commercial order, for 120 double-sided flyers. I would normally expect that much printing to use a significant amount of an ink cartridge. I intend to continue with this setup for pretty much the life of the printer. Thanks very much for such a great system!